Egypt opposition angered at government for allowing the fleet of more than 12 ships to cross Egyptian manned waterway, Al-Quds Al-Arabi reports. 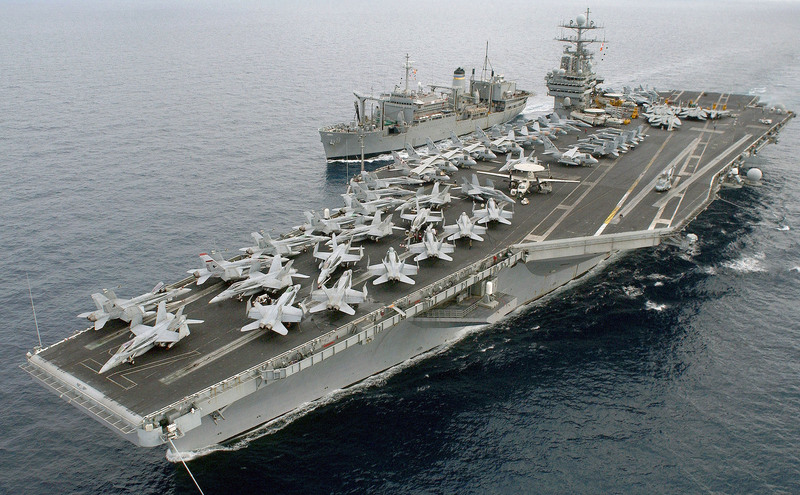 More than twelve United States Naval warships and at least one Israeli ship crossed the Suez Canal towards the Red Sea on Friday, British Arabic Language newspaper Al-Quds Al-Arabi reported Saturday. The Suez Canal is a strategic Egyptian waterway which connects between the Mediterranean Sea and the Red Sea. According to eyewitnesses, the U.S. battleships (warships) were the largest to have crossed the Canal in many years, Al-Quds reported. They said they viewed the event as Egyptian participation in an international scandal, and added that the opposition would not sit with its arms crossed while the country allowed a fleet of U.S. and Israeli military ships to cross.